When we yield ourselves to the Spirit, we learn God’s way and feel His will. 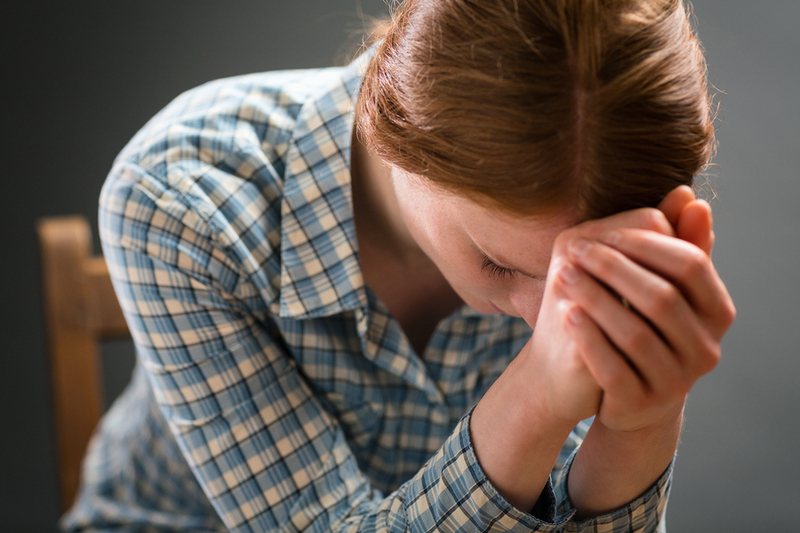 During the sacrament, which I call the heart of the Sabbath, I have found that after praying for forgiveness of sins, it is instructive to ask Heavenly Father, “Is there more?” When we are meek and still, our minds can be directed to something more we need to change—something limiting our capacity to receive spiritual guidance or even healing and help. For example, perhaps I have a carefully guarded resentment toward someone. When I ask if there is more to confess, that “secret” comes clearly to my memory. In essence, the Holy Ghost is whispering, “You honestly asked if there were more, and here it is. Your resentment diminishes your progress and damages your ability to have healthy relationships. You can let this go.” Oh, it is hard work—we may feel quite justified in our animosity—but yielding to the Lord’s way is the only way to lasting happiness. In time and by degrees, we receive His gracious strength and direction—perhaps leading us to frequent the temple or to study more deeply the Savior’s Atonement or to consult with a friend, a bishop, a professional counselor, or even a doctor. The healing of our heart begins when we submit to and worship God. True worship begins when our hearts are right before the Father and the Son. What is our heart condition today? Paradoxically, in order to have a healed and faithful heart, we must first allow it to break before the Lord. “Ye shall offer for a sacrifice unto me a broken heart and a contrite spirit,”7 the Lord declares. The result of sacrificing our heart, or will, to the Lord is that we receive the spiritual guidance we need. When he met the Savior, he asked: “What lack I yet?”3 Jesus answered immediately, giving counsel that was intended specifically for the rich young man. “Jesus said unto him, If thou wilt be perfect, go and sell that thou hast, and give to the poor, and . . . come and follow me.”4 The young man was stunned; he had never considered such a sacrifice. He was humble enough to ask the Lord, but not faithful enough to follow the divine counsel he was given. We must be willing to act when we receive an answer. I knew a faithful mother who humbled herself and asked: “What is keeping me from progressing?” In her case, the response from the Spirit came immediately: “Stop complaining.” This answer surprised her; she had never thought of herself as a complainer. However, the message from the Holy Ghost was very clear. In the days and weeks that followed, she became conscious of her habit of complaining. Grateful for the prompting to improve, she determined to count her blessings instead of her challenges. Within days, she felt the warm approval of the Spirit. A humble young man, who couldn’t seem to find the right girl, went to the Lord for help: “What is keeping me from being the right man?” he asked. This answer came into his mind and heart: “Clean up your language.” At that moment, he realized that several crude expressions had become part of his vocabulary, and he committed to change. A single sister bravely asked the question: “What do I need to change?” and the Spirit whispered to her: “Don’t interrupt people when they are talking.” The Holy Ghost really does give customized counsel. He is a completely honest companion and will tell us things that no one else knows, or has the courage to say. One returned missionary found himself stressed with a very heavy schedule. He was trying to find time for work, studies, family, and a Church calling. He asked the Lord for counsel: “How can I feel at peace with all that I need to do?” The answer was not what he expected. He received the impression that he should more carefully observe the Sabbath Day and keep it Holy. He decided to dedicate Sunday to God’s service – to lay aside his school courses on that day and study the gospel instead. This small adjustment brought the peace and balance that he was seeking. Years ago, I read in a church magazine the story of a girl who was living away from home and going to college. She was behind in her classes, her social life was not what she had hoped for, and she was generally unhappy. Finally one day, she fell to her knees and cried out: “What can I do to improve my life?” The Holy Ghost whispered, “Get up and clean your room.” This prompting came as a complete surprise, but it was just the start she needed. After taking time to organize and put things in order, she felt the Spirit fill her room and lift her heart.